Blog about your time today. Use sentence variety. I love The Rink !!! It was very fun even though I fell and got ran over. I loved how we all skated together. I loved the Cha Cha Slide . I skated with my best friend Janessa Martin Owens I can depend on her even if she can be a meanie . I coupled skated with Janessa she is the only one i can skate with. I CANT WAIT TO GO BACK TO THE RINK SKATING RING. Today I went on a roller skating field trip. I fell about 20 times and bruised both knees. Mostly my left knee. I ate sour patches and got a Sunkist. One time I fell on my arm and sled on it. I saw someone, not gonna say the name, fell on their head. I had a lot of fun at the skating rink. Going to the rink was a great time. It was fun playing air hockey,skating,and talking to friends. I fell a few times but got right back up. Also I got about 125 tickets. Then I bought a mouth piece,a passafire, and laser fingers.Overall the rink was a fun trip. What did you like about skating? I liked everything about skating because i got to skate with a couple of my friends. I also got to hear some of my favorite song. And my favorite part was getting the toys that light up. And my second favorite part was the icee’s. I can’t wait to go skating again next time. But the scary part is that i don’t know how to skate really good but i can skate but not really good. Going to the skating rink was really fun! I was having fun with my friends and enjoying the food over there! Roller skating was hard for me because I didn’t know how to skate, but I got a little better when my friend taught me how to skate. Also, I bought some of the stuff I liked such as, month teddy bear charms and a blue bow that lights up. I was having so much fun with my friends because we skated together! Roller skating at the rink was really fun! It was so fun. Because they put music and you have a lot of fun with friends. loudly, I sing out loud, I sing the song’s out loud because i like to sing and even in the bus I was singing in the way back to school. At the end I full down and I hit my had because my friend Adam puss me at the ground. At the end it was fun. I had a lot of fun at The Rink. Since I know how to skate it was pretty easy. I didn’t fall down but some people did so I ask if they where okay. I also did skate with Alexi and Graciela, Julissa, Metztli. Me and some of my friends did buy some light up thing that you can put in your mouth and also some type of accessory to put on us. On the bus i sat down with Graciela first then Julissa. I had a really fun time. Walking into the rink was really exiting for me. When I put on roller skates for the first time, it was hard to stay still. But a little after I got the hang of it. The song that they played (See you again) was awesome. Holding hands with Caila was nice because we had a great time and we were making memory`s. Going to the rink was one of the most fun times. I really enjoyed it, and I hope that i could visit again. The sckateing rink was very fun for me. It was fun because my freinds helped me learn how to sckate. she was nice because if I fell she fell with me.I also fell like 5, 8 times. But so much times I fell I learned how to sckate. This is why i think the sckateing rink was fun. The rink was fun. It was the funnest time I have ever had at the rink. There wasn’t that many people there. But it was really fun. I only fell 2 times but it was because other people bumped into me both times. I bought a pacifier. At the rink. The rink was fun. At the rink there was a lot of people over there roller skating at the rink. A lot of people folling on the ground and some of the kids where pushing and some of the students where playing on the games with there friends and some of the students where roller skating with there friends and some people where folling on other people. At the rink some people where eating food and some where eating snacks and drinking slushy and the music was great and some were not good but we all had fun at the rink.At the rink we all had fun. When it was school I wake up early because I go to Inspired. When we eat doughnut and orange juice we also learn about stuff that we don’t know yet. After that I go to my teacher classroom. When we get inside our class we were doing are journal. When we are done with are journal we go inside the bus to go to the skating rink. In the skating rink I was all ready falling of the skate. When we were about to leave I was still having a little fun. Today at the Skating Rink we had a lot of fun. One of the reasons why i thought it was fun was because we got to skate with our friends. Also, it was fun because you got to buy a lot of things such as bunny ears that light up , teeth that light up, and much more things. And the last reason why i enjoyed the field trip was because me and my friends got to eat pizza and cotton candy and drink many beverages. I really enjoyed the field trip. At the skating rink in was really fun. One thing that was a little difficult to some people is the skating. Trying my hardest I got better a bit. To have fall was good because I learned from my mistakes. Another thing why the skating rink was fun is because of the games you can play to win tickets. One game I enjoyed was the coin pusher. In the game area it also had lots of other games i liked. For example, the basketball game was very astonishing. Lastly, the final thing i liked about the rink was the food. The pizza was a food i really liked at the rink. Ices was also my favorite drink there. Due to these reasons, the rink was a fun field trip! and darkness was all around. Skating with a friend was fun. Even when she didn’t know how to skate. Falling was fun at times but in all it was fun, I fell twice and she fell eight times. Unexpectedly i thought she knew how to skate it was the opposite. Concerning how she skated i helped her. In a couple try’s she got the hang of it but still need to practice more. Colorful lights flew around the dark skating rink. At the rink i had fun and i know how to skate more now. I skated with julia and lela, and more friends, some time my self too . Falling on my bottom was funny.” Can you help me” julia asked lela. “Yeah sure” lela said. After, that we bought icee it was so good . Than, I went into the rink and skate for a little . Next, I went to find julia than I went back into the rink. Althougth I did little things I still had fun. For me the sckating rink was fun. it was fun because my freinds helped me sckate.also everytime I fell they fell with me . I fell like 5,7 times at least.And joey crashed on me. This is why i think the sckating rink was fun. 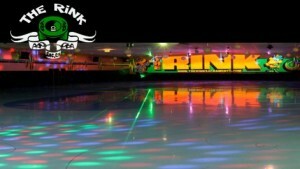 i love the Rink !!! It was fun even though i fell down a lot of times.having people by my side helped me skate was helpful.I got ran over by lots of people even my friends.mostly i was looking at things and buying things.It was fun when i was playing games too. During the rink I was falling a lot but I still got up and started skating. I got a lot a things I got glasses that glow up and teeth that glow up and one little ring that also glows the last one I have is the . In the skating rink I was skating with Alexi, Lana, Metztli, and Mairyn. Incredibly, a lot of people were skating and were really good. Some people were singing at the roller skating ring every loud. The rink is a very fun place to go. they have prizes, arcade games, and food. Skating wasn’t easy for me I fell down once almost fell down lots of times and crashed twice. The prizes I got were a mini green flash light ring, a glowing pacifier, four ninjas, and sunglasses. Skating in the rink was a very fun and fantastic thing to do. First, people fell and hurt themselves in the on the hard floor. In the skating rink people were doing tricks as well as grabbing on to the wall. Unfortunately, some people just eat and didn’t skate at all. Then one person fell on their head and was completely surrounded by people saying,” are you okay? Being at the rink was super fun. I liked the skating rink becuase it was fun. It was fun because my freinds helped me learned how to skate. she was nice becuase when I fell she fell with me. I also fell like 5 or 7 times. This is why I think that the skating rink was fun. While that we were at the rink we were having a fun time. We skate in the big rink. After that we go eat at the table. Then I go to the shop to buy the roll-out-ball. When we are about to leave I buy skittle and grape sunkist. We were all getting inside the bus to go back to school. It was a fun day today.